Find Better Ideas, Faster ® with a custom gardening trend report, our PRO Dashboard and 80+ categories of premium trend reports. 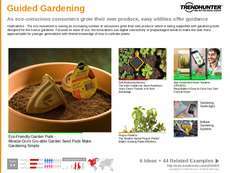 Within the Gardening Trend Report, readers will be exposed to latest trends, tools and gardening practices being conducted by professional and home gardeners. 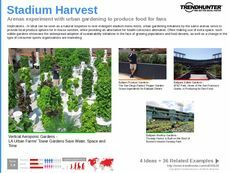 Beyond personal gardening trends, this report will look at how urban communities are expanding their typical environments to incorporate farming and even rooftop gardening spaces. 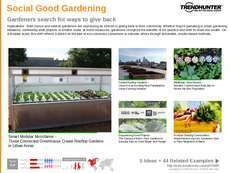 Trend Hunter’s crowdsourced research is a compilation of the newest trends that are changing the way gardening is conducted and used from both a local and global perspective. From an environmental and sustainable standpoint, this report can be used by local infrastructure companies as well as industrial businesses that can put these trends into construction plans. 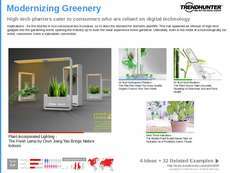 Additionally, this report can be used by garden supply retail stores to investigate what consumers are seeking when purchasing new products. 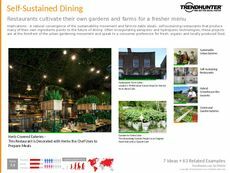 Trend Hunter’s Gardening Trend Report will allow you to better understand the scope of gardening while learning about new ways to introduce gardening products into the hands of consumers.